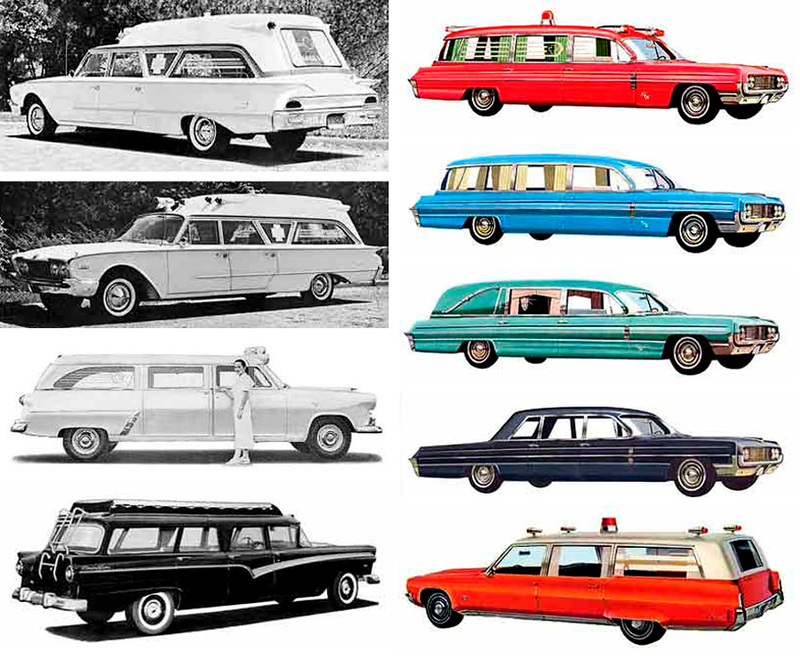 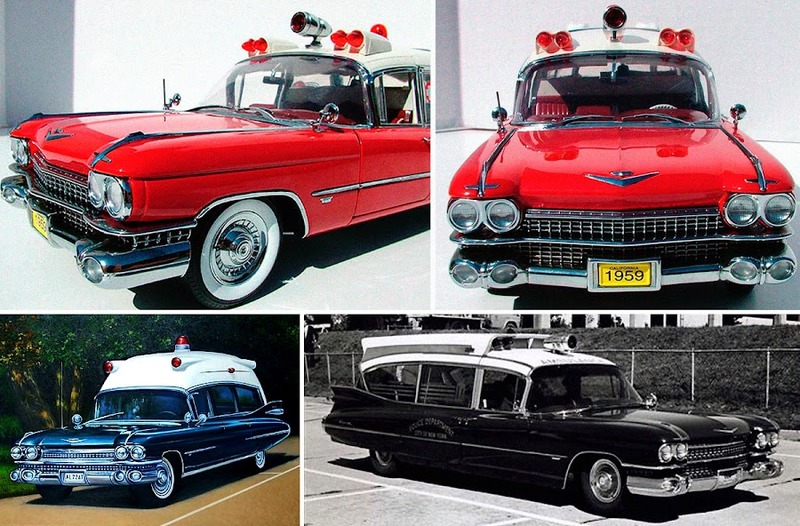 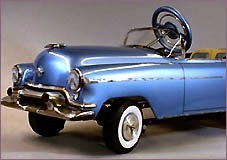 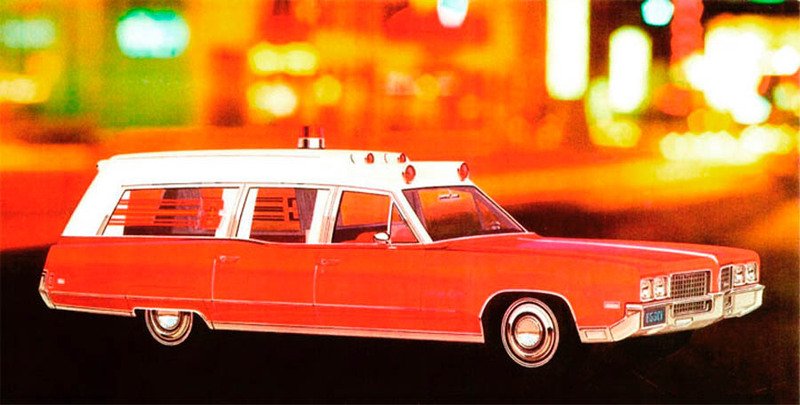 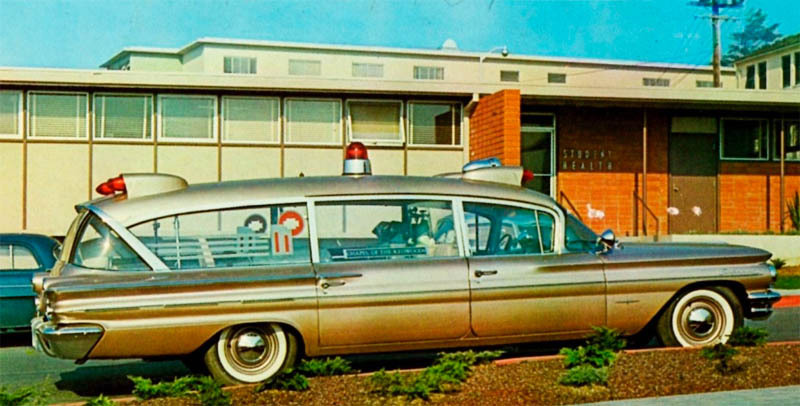 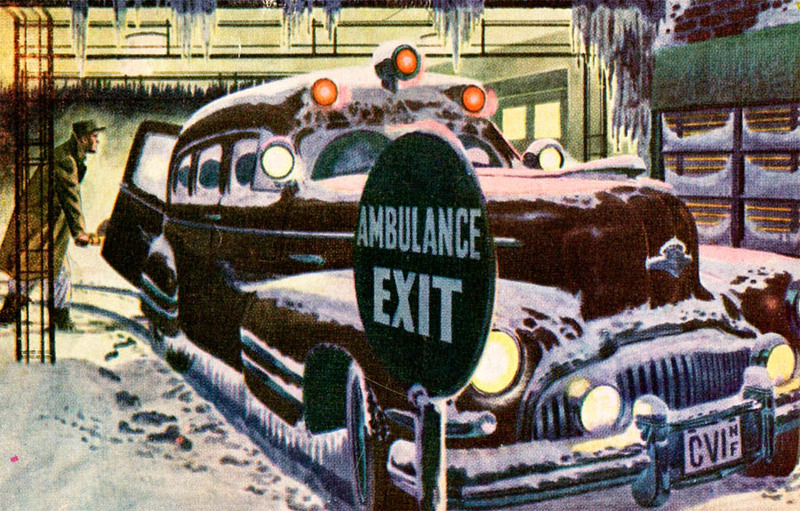 Some of the ambulance cars in the 1950s and 1960s had most outrageous, chromed and finned shapes - almost works of art and design symbols in themselves, with some becoming legendary movie vehicles. 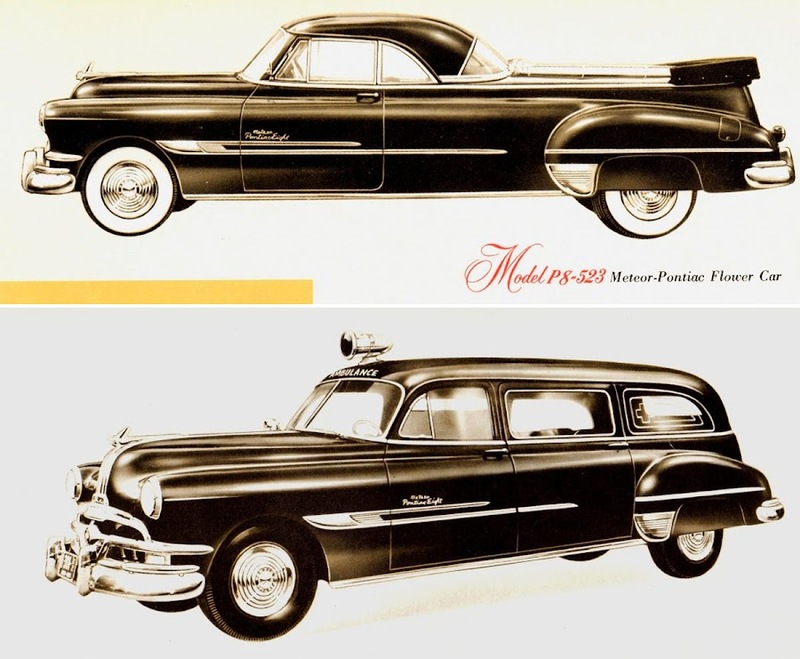 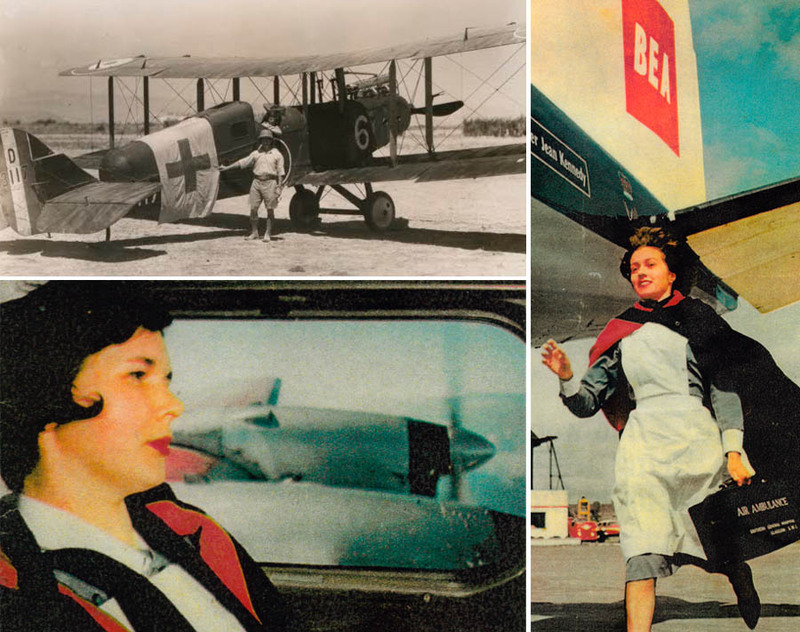 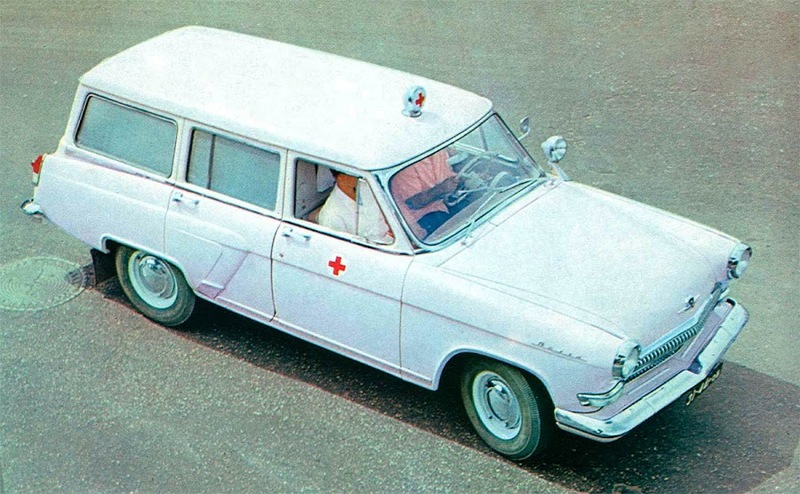 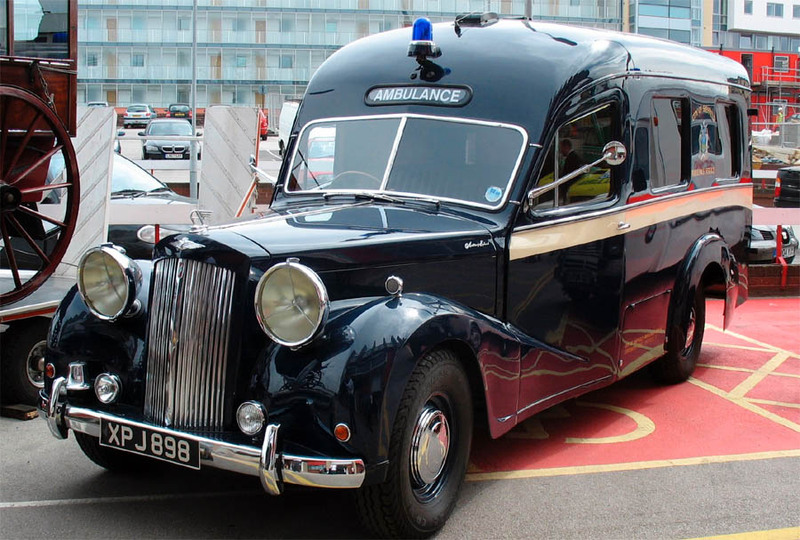 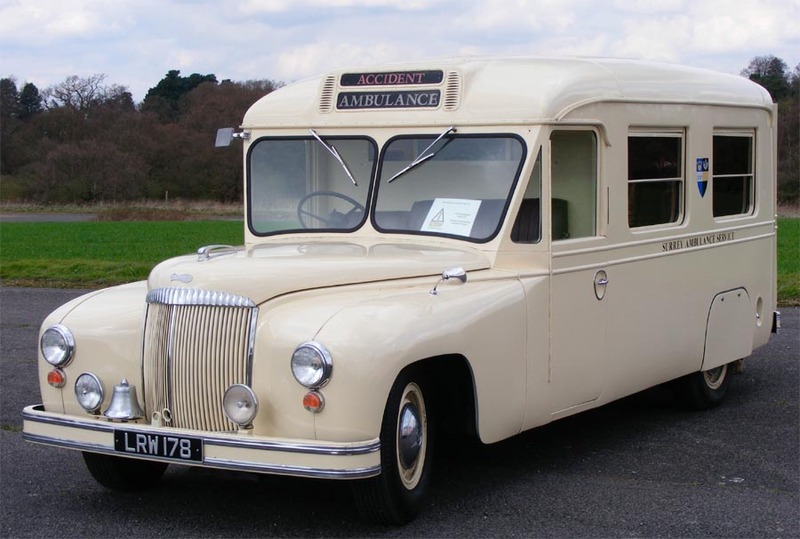 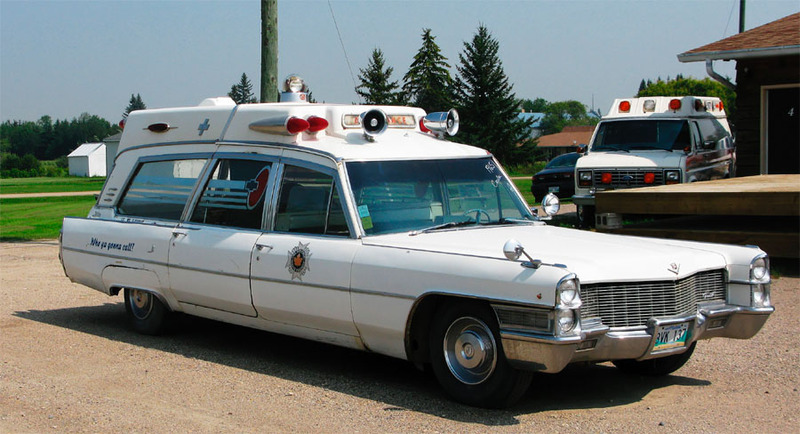 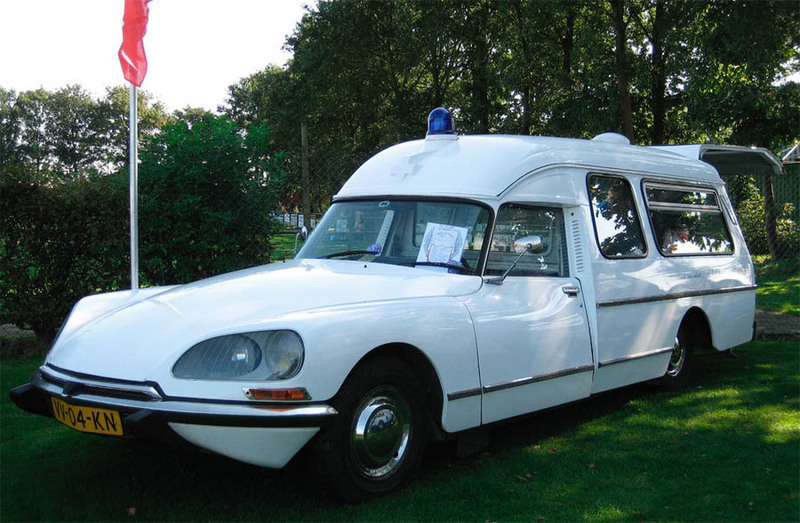 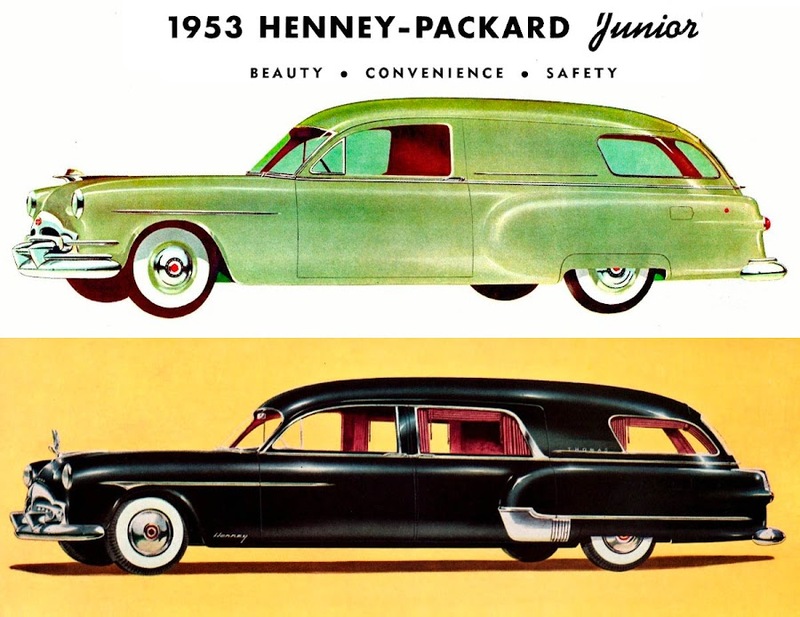 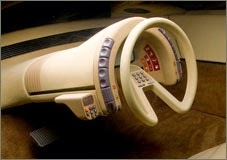 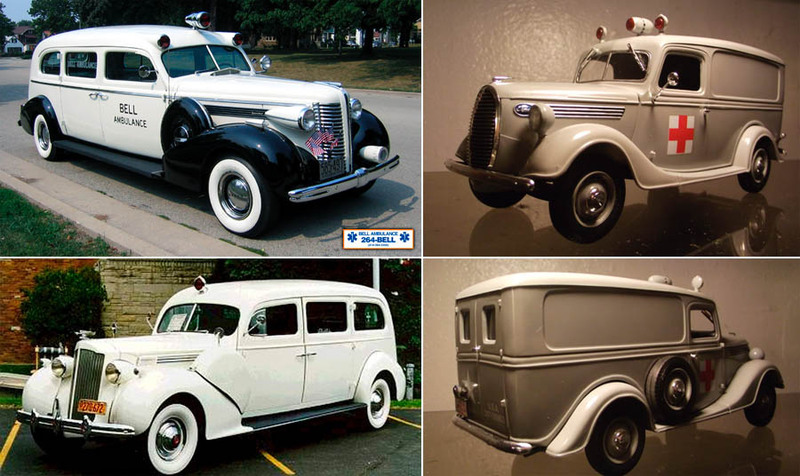 Here at Dark Roasted Blend we thought we’d take a look at some of the ambulances from days gone by, highlighting the most unusual and neat-looking models. 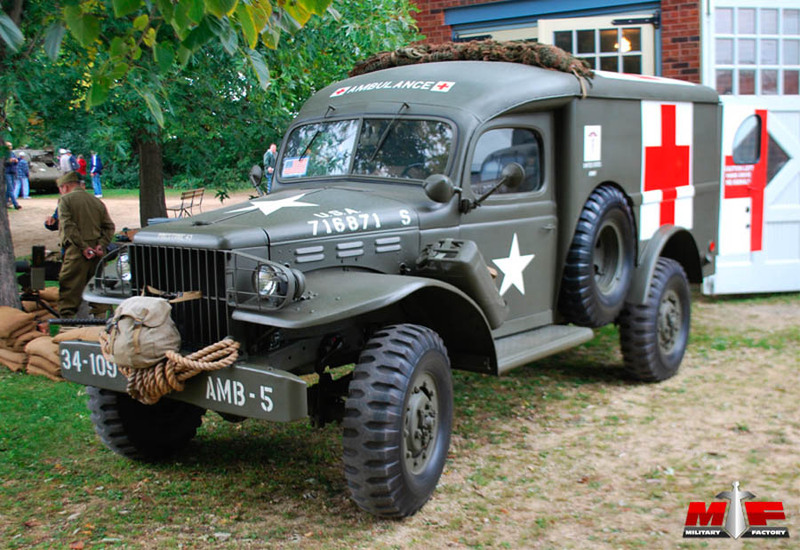 Ambulances of one kind or another as a mean of transporting the sick or wounded have been around for centuries, for both soldiers and civilians. 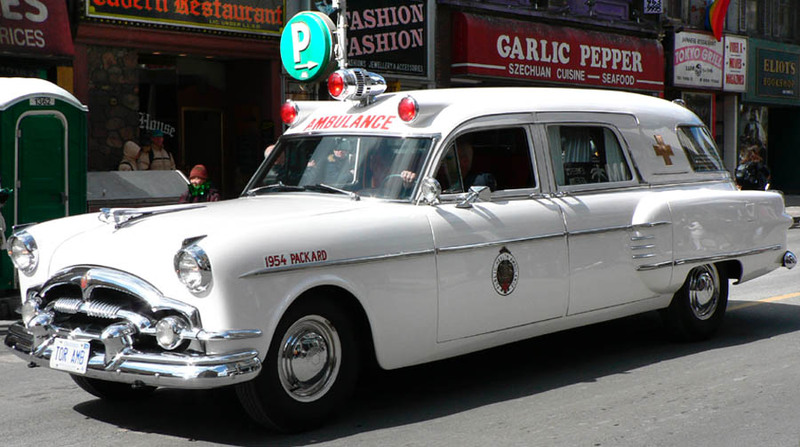 World War I saw motorized ambulances replacing the various horse-drawn types that had been used previously. 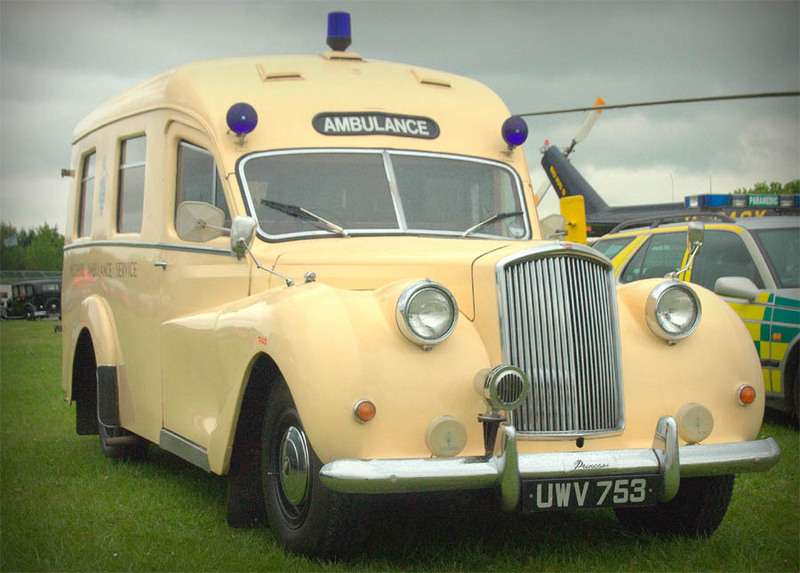 Right image above shows the air ambulance service of the Glasgow Southern General Hospital in the 1960s.